In a $100 million lawsuit that has garnered virtually no public attention, five National Security Agency (NSA) whistleblowers are accusing the federal government of illegally retaliating against them for alerting the NSA and Congress to a waste of taxpayer funds that benefitted a well-connected contractor. The lawsuit tells the story of the infancy of the NSA’s efforts to surveil the Internet. Back then, there were two programs for the spying agency to choose from — and the first was called ThinThread. It had been developed internally, was comparatively inexpensive, had been tested and proven to be effective, and included safeguards preventing the spying on Americans without a court warrant. The other was called Trailblazer. It did not include such safeguards, had not yet been shown to be effective, and cost 1,000 times more than ThinThread. Instead of being developed internally, it was to be outsourced to Science Applications International Corporation (SAIC), a politically connected contractor. In response, four NSA employees who had worked on ThinThread, as well as a congressional staffer, alerted Congress and the Office of the Inspector General of the NSA that the agency was wasting taxpayer funds. That is when their troubles began, according to the lawsuit. It alleges that the defendants, which include the NSA, FBI, and the Department of Justice, as well as individuals associated with them, “knowingly and intentionally fabricated” a claim that the plaintiffs leaked classified information to New York Times reporters Eric Lichtblau and James Risen. “[The defendants] used this fabricated claim for retaliation, illegal searches and seizures, physical invasion of their residences and places of business, temporary false imprisonment, the confiscation of their property, cancellation of security clearances leading to the loss of their jobs and employment, intentional infliction of emotional distress, harassment and intimidation,” the lawsuit alleges. 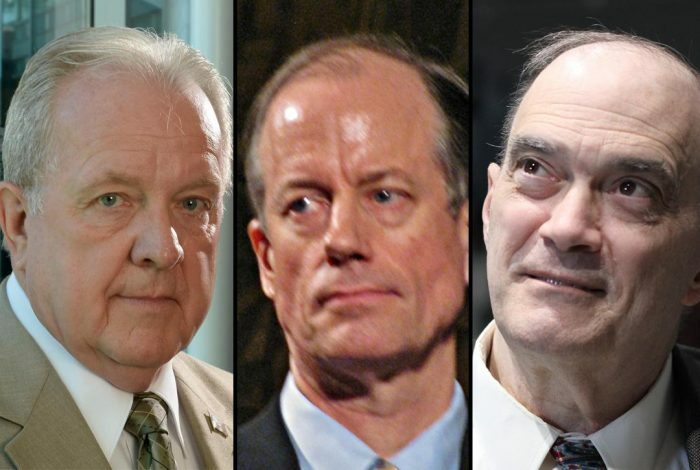 The plaintiffs are former NSA employees Thomas Drake, Ed Loomis, J. Kirk Wiebe, William Binney, and former congressional staffer Diane Roark. They seek “punitive damages in excess of $100 million because of Defendants [sic] callous and reckless indifference and malicious acts …” as well as well as an additional $15 million for lost wages and to cover costs. Larry Klayman, the prominent conservative public interest attorney and founder of Judicial Watch, filed the suit on August 20th. However, it is expected to be amended this week, and it is possible that additional publicity for the case will be sought then. Klayman has separately sued the government over the bulk collection of the phone records of Americans. That lawsuit suffered a setback last week when the US Court of Appeals for the District of Columbia Circuit sent it back to a lower court. The three judges ruled that Klayman could not prove that his own records had been collected and that his standing to file such a suit was therefore in doubt. There are 39 comments Our Comment Policy: Keep it civilized, keep it relevant, keep it clear, keep it short. Please do not post links or promotional material. We reserve the right to edit and to delete comments where necessary.